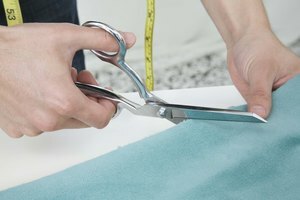 If you're going for an 1980s look, be it for a costume party or just as a throwback to a different era, cutting a sweatshirt is one of the easiest ways. An '80s sweatshirt conjures up the iconic image of Jennifer Beals in “Flashdance” -- and all the sweatshirt-inspired fashion that followed. Cutting a sweatshirt for an '80s look is easy and can help you get that most radical appearance. 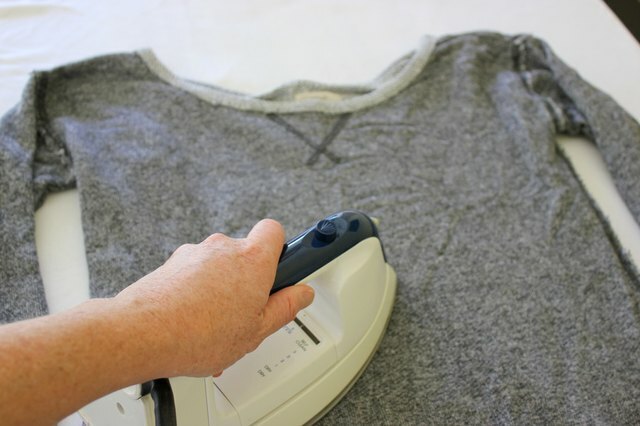 Iron your sweatshirt to remove any wrinkles. Make a mark with fabric pen an inch out from the collar of your sweatshirt on each side of the collar in the shoulder area, then mark an inch down from the collar on the front side of your sweatshirt. 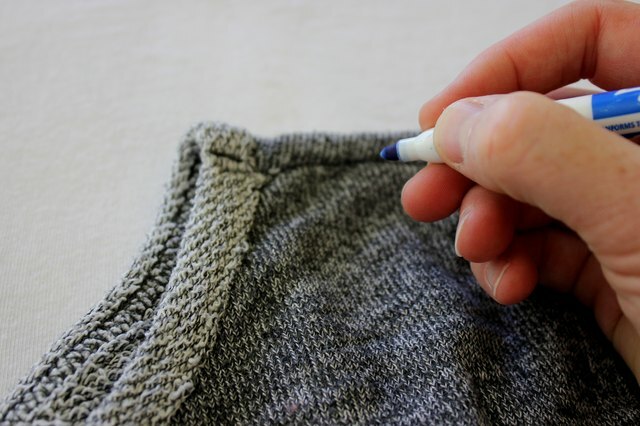 Use scissors to begin cutting at one of the marks you made in the shoulder area of your sweatshirt. Cut downward and across the mark you made on the front and up to the mark made on the other side of the collar. 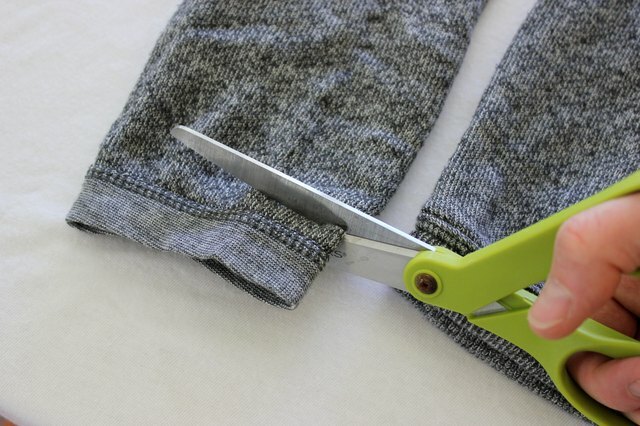 Continue in a half-circle shape, making sure to cut the front and back of your sweatshirt together so they are even. Cut off the cuffs of your sweatshirt just past the seams. Put your sweatshirt on and decide which shoulder you want to have it hang off of in traditional '80s style. 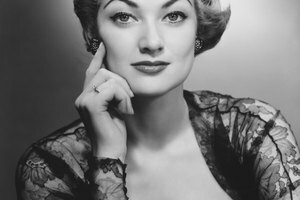 Pull the sweatshirt down off of that shoulder from the wide collar and stretch the fabric slightly to stretch out the collar, allowing it to drape more over the shoulder. Roll the sleeves or stretch them out and let them hang loosely. Pair your sweatshirt with a spaghetti-strapped undershirt and some leggings for a true '80s look. You might also pair it with acid-wash jeans, a skirt or whatever '80s garment you like. Other accessories include legwarmers, bright neon earrings and bangle bracelets, tights, high-top sneakers and thick neon headbands. Cut the collar even wider have the sweatshirt hang lower down your shoulder.